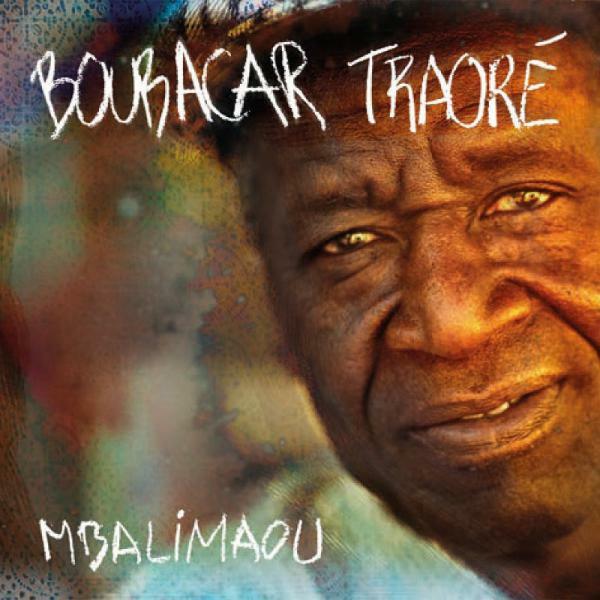 Before Ali Farka Toure, Tinariwen and the desert blues explosion, there was Boubacar Traore. Arguably the original Malian bluesman, his unique fusion of American blues, North African and Mande music was popular at the end of the era of colonial occupation; his song “Kar Kar Madison” was virtually the soundtrack of Malian independence. Somehow he went unrecorded until 1990, but he’s been making up for lost time since then. He’s in fine voice here for a 72-year-old; he sounds much more robust than on 2011’s Mali Denhou. Start with track 6, an excellent remake of one of his most famous songs, greatly augmented by Vincent Bucher’s harmonica playing which is superb throughout. 11 is another classic from Boubacar’s catalog; it’s his usual set-ender in concert with plenty of solo space for his band. 10 is a beautiful new composition arranged for Boubacar’s standard minimalist accompaniment: acoustic guitar, calabash and scraper. And on 4 (and several other songs here), the band expands to include ngoni, apparently for the first time in Boubacar’s recorded career. This album is an enjoyable little gem of Malian blues.